When Mary Lyon founded Mount Holyoke in 1837, she firmly believed in the power of studying the sciences. Herself a chemist, she introduced students to “a new and unusual way” to learn science: by collecting field samples and real data and by inviting renowned scientists to speak at the College. 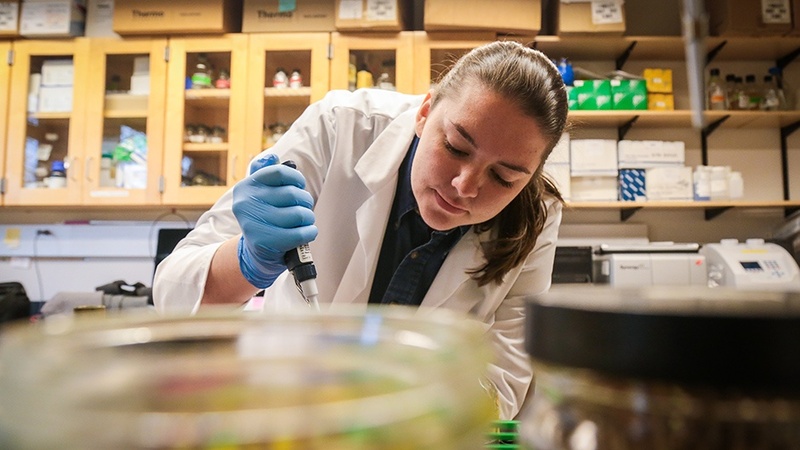 Today, her legacy of inspiring students to pursue careers in the sciences persists and Mount Holyoke remains a strong leader in scientific education. Recently, our science lab facilities were deemed among the best in the nation, per the 2019 Princeton Review. As someone who has spent many long hours in our Science Center’s beautiful laboratories, lecture halls and study spaces, it’s easy to see why. Here’s an inside look at these top-ranked facilities! My sophomore year, I took Cell and Molecular Biology and was fascinated by the ways in which biological molecules orchestrate cell structure, function and signaling pathways. I was also inspired by the teaching of Assistant Professor of Biological Sciences Amy Hitchcock Camp. That spring, I decided to take her Microbiology seminar and approach her about joining her research lab, which is located in Carr Laboratory. Soon after, I was running my first experiments on gene expression in the bacterium Bacillus subtilis, a harmless relative of the Anthrax-causing bacterium Bacillus anthracis. The Camp lab studies this bacterium because it is a model organism for genetic regulation and sporulation — the formation of metabolically inactive and environmentally resistant spores. My work in the lab focuses on the roles that various proteins play during metabolic shutdown throughout sporulation. I study these proteins by engineering mutant strains, observing them with a fluorescent microscope and quantifying the data I collect. Through my independent research, I have collected high-quality data that will be published and will include beautiful fluorescent microscope images. I have also made a small, but nonetheless exciting, discovery about the role that a group of proteins play in cell-to-cell signalling during the creation of spores in Bacillus subtilis. In addition to my work in the lab, I have made exciting discoveries in my classes. 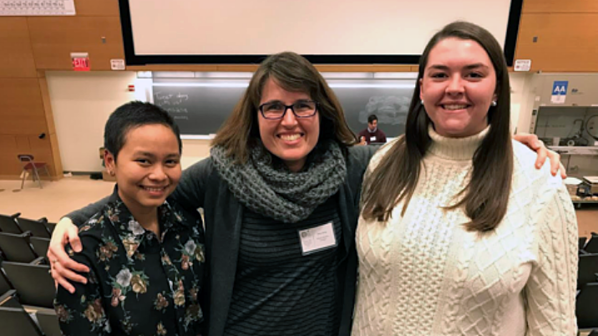 In an upper-level immunology class taught by Assistant Professor of Biological Sciences Rebeccah Lijek, my lab group collected and plans to publish data showing that the birth control Depo-Provera may have adverse effects on immune regulators. 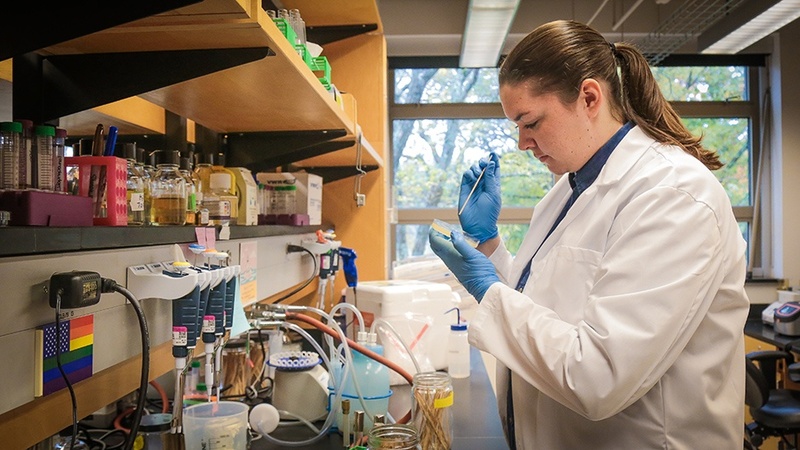 Such discoveries and high-caliber data collection would not have been possible without the resources and facilities of Mount Holyoke’s laboratories and the mentorship of our distinguished faculty. As much as I love data, it is the experience of working in the lab alongside Professor Camp — and being the recipient of her mentorship — that I most treasure. She is a wealth of knowledge and resources and I feel that she is truly invested in my academic and personal success. Professor Camp challenges me to reach my full potential, to think critically, and to work both independently and within a team. I will leave Mount Holyoke a better person and scientist as a result of her phenomenal mentorship. 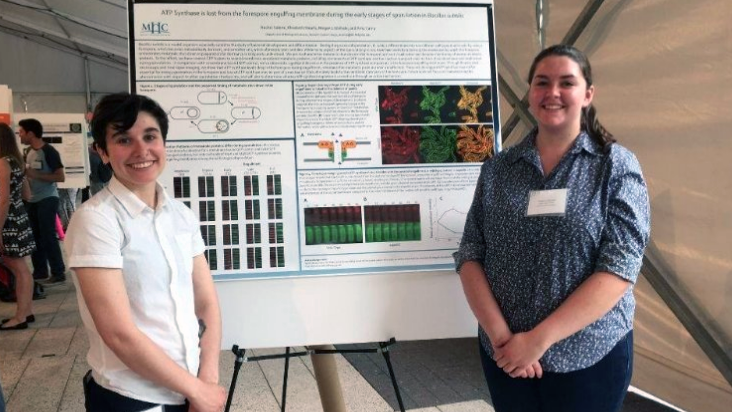 At Mount Holyoke, I’ve learned various techniques that make me an attractive candidate for internships and graduate school programs. Topics courses in biology and their associated lab sections have given me the opportunity learn specific industry skills, such as scanning electron microscopy and mouse handling. 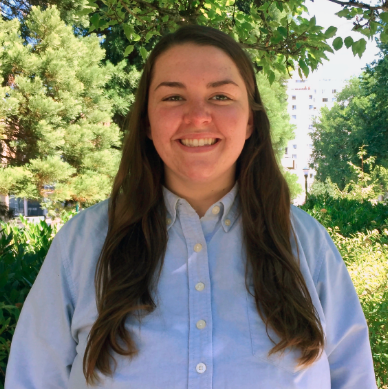 It was my familiarity with numerous molecular biology techniques, which I learned from upper-level coursework, that helped me secure an internship at Portland State University in the summer of 2018. Moreover, presenting my data at local and national conferences has helped me gain confidence in my ability to share my work and explain data to large audiences, both of which are indispensable skills in the scientific field. The lab has become so much more to me than black benchtops and shelves overflowing with chemicals. There are reminders of the lasting friendships I have formed with labmates in the form of notes and cartoons taped to the walls. There is my hidden stash of coffee for late nights of futile experimentation. After spending most of my afternoons and the occasional evening or weekend in the lab, it is fair to say that it feels more like a home to me than anywhere else on campus. Mount Holyoke’s science facilities and resources, all told, have impacted my college experience and my life in profound ways. They have given me the opportunity to perform research as an undergraduate with an amazing faculty mentor. They are where I produced publishable data and gained the skills I need to pursue a career in research science. And they have fueled tremendous personal and academic growth, empowering me to come into my own as a biologist and a research scientist. I know that when I graduate and reluctantly leave the benchtop that has become my home away from home, I will do so with the knowledge and confidence to succeed as a woman in STEM. THE place for women in STEM. Megan Littlehale ’19 is from Reading, Massachusetts. She studies biological sciences and philosophy and works in a microbiology lab on campus. 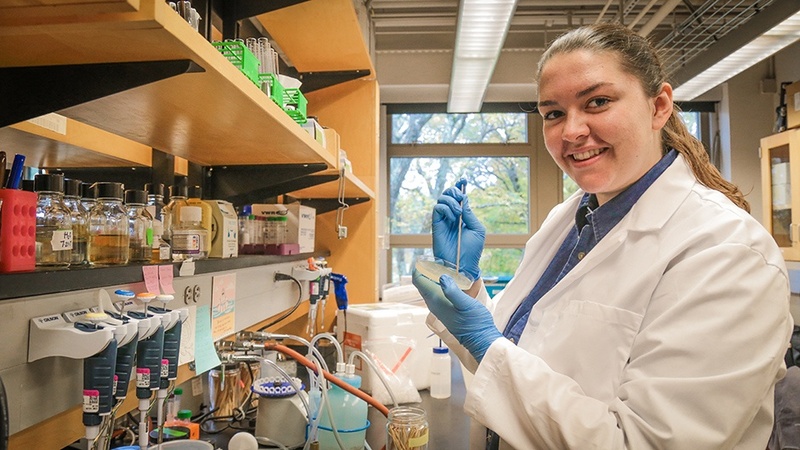 After graduation, she hopes to pursue a doctorate in microbiology and a career in research. She is a member of the Mount Holyoke Climate Justice Coalition and volunteers at the Valley Opportunity Council in Chicopee, where she teaches English to non-native speakers.